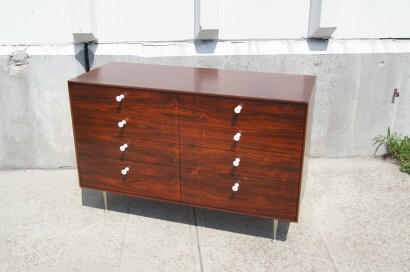 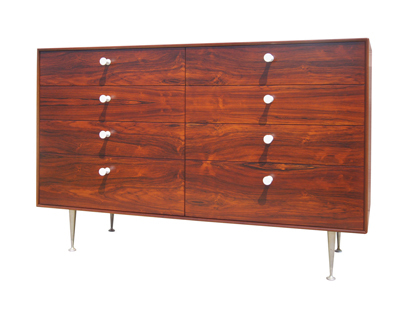 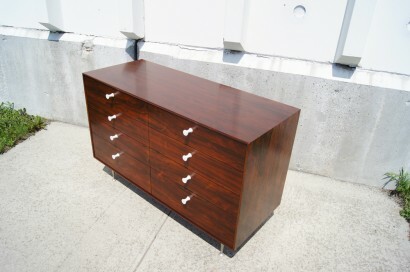 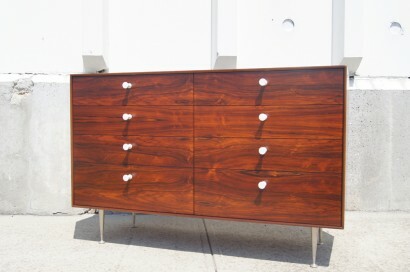 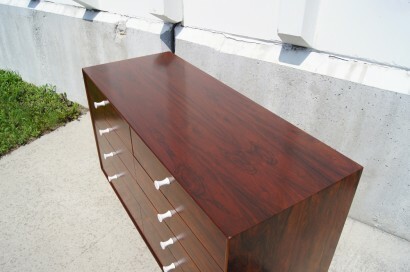 This beautiful chest of drawers, designed in 1952 by George Nelson and manufactured by Herman Miller in 1955, showcases a stunning rosewood grain and the original white porcelain pulls. 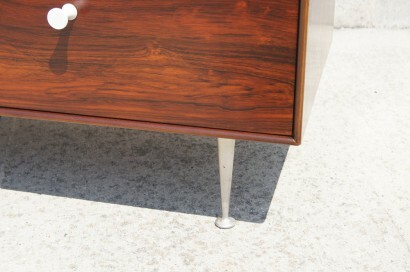 Its especially thin-edged case sits on tapered aluminium legs. 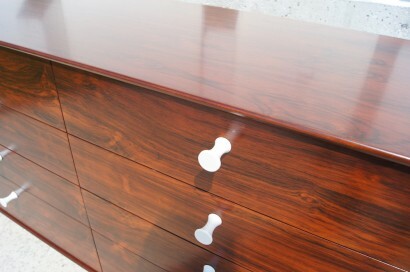 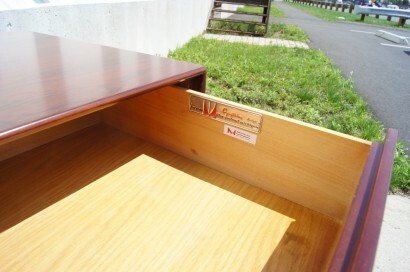 A corresponding ten-drawer dresser is available.